(July 29): Wall Street edged higher on Thursday as investors looked beyond disappointing earnings from Ford and bought shares in Apple, while Alphabet surged after the bell following its quarterly report. In extended trade, Alphabet jumped 4 percent after the Google parent-company reported stronger-than-expected revenue. Amazon.com rose 1.7 percent after its quarterly report. Earlier, Apple rose 1.35 percent, giving the S&P 500 its biggest lift. Six of the 10 major S&P 500 sectors ended higher, with the consumer staples sector up 0.47 percent. The carmaker's dismal forecast rattled the wider automobile market, with shares of General Motors falling 3.22 percent and Fiat Chrysler 4.77 percent. The Dow Jones industrial average edged down 0.09 percent to end at 18,456.35 points and the S&P 500 gained 0.16 percent to 2,170.06. 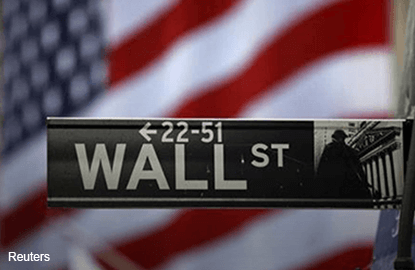 The Nasdaq Composite added 0.3 percent to 5,154.98.